The Sundays River Ferry cruiser boat operates from the peaceful village of Cannonville located on the banks of the lower reaches of the Sundays River and the estuary, a mere 35 minute drive from the Port Elizabeth Airport on the N2 East and just 45 minutes from Grahamstown. Cannonville village is part of the Colchester area, the gateway to the Sunshine Coast and the Addo Elephant National Park. 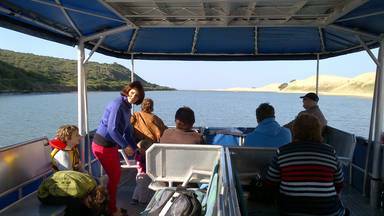 The Sundays River Ferry cruiser is operational on the Sundays River flowing through and on borders the new Southern section of the Addo Elephant National Park. This estuary, as well as the surrounding area is malaria free and a mere 4/5 kilometers from the new Southern Gate entrance. The Sundays River Ferry cruiser is a surveyed and licensed vessel that can carry up to 30 people on a cruise. The craft boasts a number of features such as a flushing toilet onboard, an upper viewing deck and easy on and off access via a retractable gangplank. A number of tailor made cruise packages are offered, including cruises for occasions such as business team building, sundowner, leisure, bird watching, party, booze cruises and sand sledding. We also offer special upstream safari cruises for bird watchers and nature lovers. 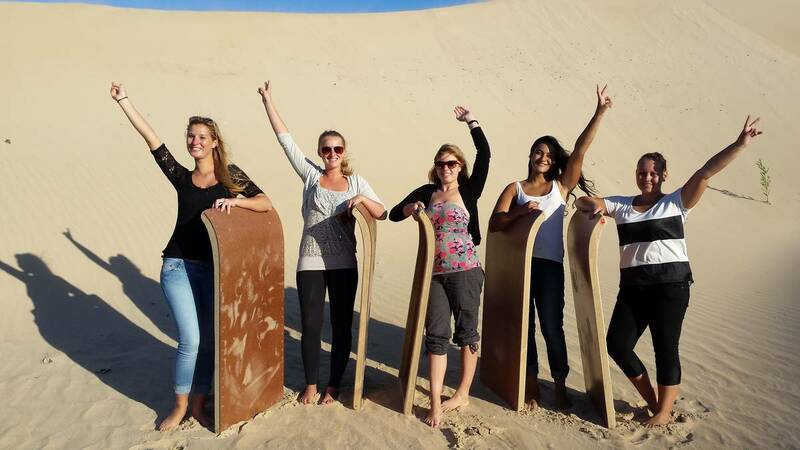 Experience the wonder of a cruise down to the Sundays River mouth to enjoy the breathtaking views of the world renowned Alexandria Coastal Dune Field, one of the largest of its kind in the world. 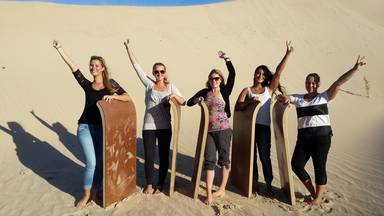 Stop over at the dunes to explore, take photos, swim or do some sand sledding/boarding.